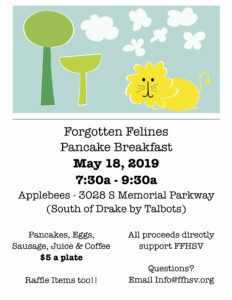 Forgotten Felines, Inc. is a 501(c)(3) non-profit, feline exclusive rescue. We are located in Huntsville, Alabama (Madison County). Our primary mission is to manage the feral cat population in our area by trapping, neutering/spaying and returning (TNR) cats back into their original territories. 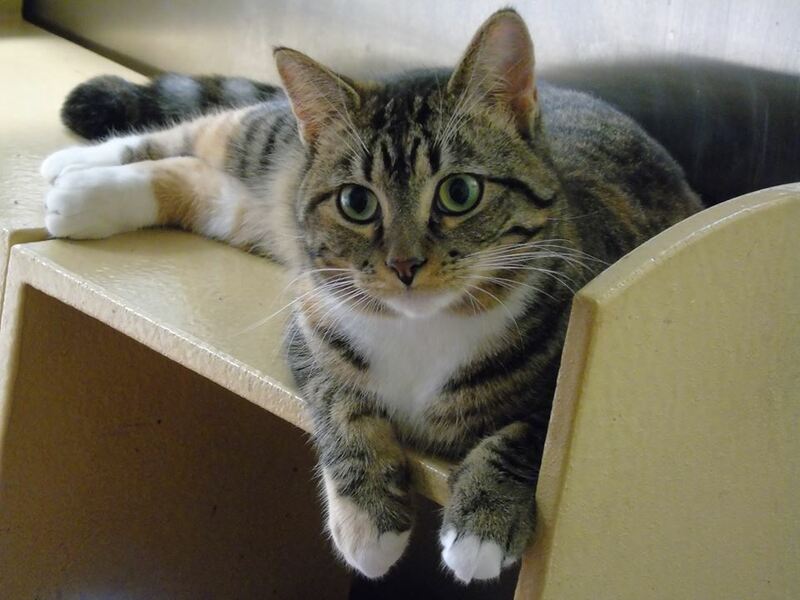 We also work to provide safe, temporary homes for cats that are homeless, unwanted, abandoned or lost. Some of our animals have been rescued from dangerous conditions and cannot be released back to their original territory. These animals are housed in foster homes until permanent, loving homes can be found. The majority of these animals are friendly abandoned pets, that are not feral, and we offer these loving and grateful animals for adoption on Facebook, Petfinder, and Adopt A Pet. Visit us locally (Huntsville, AL) at the Jones Valley PetSmart and University Drive (Westside Center) PetSmart Stores! We strive to help as many stray and community cats as possible, as well as cats that have been found by good Samaritans who can’t keep them. With limited facilities to house cats until they can be adopted, we must depend on caretakers and those concerned for the cats welfare to help. If you are interested in TNR (trap, neuter, and release) we can work with you…educating, equipping, and supporting you with the tools you need to provide for the cats in your neighborhood. If you are looking to place a cat, please understand that we need to secure a foster home before taking that cat into our organization. 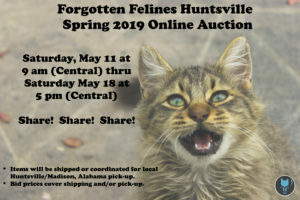 Forgotten Felines Huntsville is a very small group of volunteers…we receive no federal, state, or local money; we rely solely on the generosity of our community. We greatly appreciate any/all donations, great and small…together we can make a difference in the lives of cats in our own community! We rescue cats that come from all walks of life! Join us in our crusade to save homeless kitties!